For other religious groups called Brethren, see Brethren (religious group). The Christadelphians (/ˌkrɪstəˈdɛlfiənz/) are a millenarian Christian group who hold a view of Biblical Unitarianism. There are approximately 50,000 Christadelphians in around 120 countries. The movement developed in the United Kingdom and North America in the 19th century around the teachings of John Thomas, who coined the name Christadelphian from the Greek for "Brethren in Christ". Claiming to base their beliefs solely on the Bible, Christadelphians differ from mainstream Christianity in a number of doctrinal areas. For example, they reject the Trinity and the immortality of the soul, believing these to be corruptions of original Christian teaching. They were initially found predominantly in the developed English-speaking world, but expanded in developing countries after the Second World War. Congregations are traditionally referred to as 'ecclesias' and would not use the word 'church' due to its association with mainstream Christianity, although today it is more acceptable. ✪ Introducing the Christadelphians - Who, Why, What, Where? ✪ A Call to Jehovah's Witnesses and Christadelphians. ✪ Who are the Christadelphians - Are Christadelphians a CULT? ✪ Ever wondered ......Who are the Christadelphians? 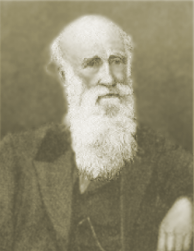 The Christadelphian religious group traces its origins to John Thomas (1805–1871), who emigrated to North America from England in 1832. Following a near shipwreck he vowed to find out the truth about life and God through personal Biblical study. Initially he sought to avoid the kind of sectarianism he had seen in England. In this he found sympathy with the rapidly emerging Restoration Movement in the US at the time. This movement sought a reform based upon the Bible alone as a sufficient guide and rejected all creeds. However, this liberality eventually led to dissent as John Thomas developed his personal beliefs and began to question mainstream orthodox Christian beliefs. While the Restoration Movement accepted Thomas's right to have his own beliefs, when he started preaching that they were essential to salvation, it led to a fierce series of debates with a notable leader of the movement, Alexander Campbell. John Thomas believed that scripture, as God's word, did not support a multiplicity of differing beliefs, and challenged the leaders to continue with the process of restoring 1st-century Christian beliefs and correct interpretation through a process of debate. The history of this process appears in the book Dr. Thomas, His Life and Work (1873) by a Christadelphian, Robert Roberts. The Christadelphian community in Britain effectively dates from Thomas's first lecturing tour (May 1848 – October 1850). His message was particularly welcomed in Scotland, and Campbellite, Unitarian and Adventist friends separated to form groups of "Baptised Believers". Two thirds of ecclesias, and members, in Britain before 1864 were in Scotland. In 1849, during his tour of Britain, he completed (a decade and a half before the name Christadelphian was conceived) Elpis Israel in which he laid out his understanding of the main doctrines of the Bible. Since his medium for bringing change was print and debate, it was natural for the origins of the Christadelphian body to be associated with books and journals, such as Thomas's Herald of the Kingdom. In his desire to seek to establish Biblical truth and test orthodox Christian beliefs through independent scriptural study he was not alone. Among other churches, he had links with the Adventist movement and with Benjamin Wilson (who later set up the Church of God of the Abrahamic Faith in the 1860s). In terms of his rejection of the trinity, Thomas's views had certain similarities with Unitarianism which had developed in a formal way in Europe in the 16th century (although he formally described both Unitarianism and Socinianism as "works of the devil" for their failure to develop his doctrine of God-manifestation). Although the Christadelphian movement originated through the activities of John Thomas, he never saw himself as making his own disciples. He believed rather that he had rediscovered 1st century beliefs from the Bible alone, and sought to prove that through a process of challenge and debate and writing journals. Through that process a number of people became convinced and set up various fellowships that had sympathy with that position. Groups associated with John Thomas met under various names, including Believers, Baptised Believers, the Royal Association of Believers, Baptised Believers in the Kingdom of God, Nazarines (or Nazarenes), and The Antipas until the time of the American Civil War (1861–1865). At that time, church affiliation was required in the United States and in the Confederacy in order to register for conscientious objector status, and in 1864 Thomas chose for registration purposes the name Christadelphian. Through the teaching of John Thomas and the need in the American Civil War for a name, the Christadelphians emerged as a denomination, but they were formed into a lasting structure through a passionate follower of Thomas's interpretation of the Bible, Robert Roberts. In 1864, he began to publish The Ambassador of the Coming Age magazine. John Thomas, out of concern that someone else might start a publication and call it The Christadelphian, urged Robert Roberts to change the name of his magazine to The Christadelphian, which he did in 1869. His editorship of the magazine continued with some assistance until his death in 1898. In church matters, Roberts was prominent in the period following the death of John Thomas in 1871, and helped craft the structures of the Christadelphian body. Initially, the denomination grew in the English-speaking world, particularly in the English Midlands and in parts of North America.[which?] In the early days after the death of John Thomas, the group could have moved in a number of directions. Doctrinal issues arose, debates took place, and statements of faith were created and amended as other issues arose. These attempts were felt necessary by many[according to whom?] to both settle and define a doctrinal stance for the newly emerging denomination and to keep out error. As a result of these debates, several groups separated from the main body of Christadelphians, most notably the Suffolk Street fellowship and the Unamended fellowship. The Christadelphian position on conscientious objection came to the fore with the introduction of conscription during the First World War. Varying degrees of exemption from military service were granted to Christadelphians in the United Kingdom, Canada, Australia, New Zealand, and the United States. In the Second World War, this frequently required the person seeking exemption to undertake civilian work under the direction of the authorities. During the Second World War, the Christadelphians in Britain assisted in the Kindertransport, helping to relocate several hundred Jewish children away from Nazi persecution by founding a hostel, Elpis Lodge, for that purpose. In Germany, the small Christadelphian community founded by Albert Maier went underground from 1940–1945, and a leading brother, Albert Merz, was imprisoned as a conscientious objector and later executed. The post-war and post-reunions periods saw an increase in co-operation and interaction between ecclesias, resulting in the establishment of a number of week-long Bible schools and the formation of national and international organisations such as the Christadelphian Bible Mission (for preaching and pastoral support overseas), the Christadelphian Support Network (for counselling), and the Christadelphian Meal-A-Day Fund (for charity and humanitarian work). Inter-ecclesial organizations co-ordinate the running of, among other things, Christadelphian schools and elderly care homes, the Christadelphian Isolation League (which cares for those prevented by distance or infirmity from attending an ecclesia regularly) and the publication of Christadelphian magazines. No official membership figures are published, but the Columbia Encyclopedia gives an estimated figure of 50,000 Christadelphians. They are spread across approximately 120 countries; there are established churches (often referred to as ecclesias) in many of those countries, along with isolated members. Estimates for the main centers of Christadelphian population are as follows: United Kingdom (18,000), Australia (10,653), Mozambique (9,400), Malawi (7,000), United States (6,500), Canada (3,375), Kenya (2,700), New Zealand (1,785), India (1,750), Tanzania (1,000). and Pakistan (900). Combining the estimates from the Christadelphian Bible Mission with the figures above, the numbers for each continent are as follows: Africa (22,100), Americas (10,500), Asia (4,150), Australasia (12,600), Europe (18,950). This puts the total figure at around 67,000. The Unamended fellowship, consisting of around 1,850 members, is found in the East Coast and Midwest USA and Ontario, Canada. This group separated in 1898 as a result of differing views on who would be raised to judgment at the return of Christ. The majority of Christadelphians believe that the judgment will include anyone who had sufficient knowledge of the gospel message, and is not limited to baptized believers. The majority in Britain, Australia and North America amended their statement of faith accordingly. Those who opposed the amendment became known as the "Unamended fellowship" and allowed the teaching that God either could not or would not raise those who had no covenant relationship with him. Opinions vary as to what the established position was on this subject prior to the controversy. Prominent in the formation of the Unamended fellowship was Thomas Williams, editor of the Christadelphian Advocate magazine. The majority of the Unamended Fellowship outside North America joined the Suffolk Street fellowship before its eventual incorporation into Central fellowship. There is also some co-operation between the Central (Amended) and Unamended Fellowships in North America – most recently in the Great Lakes region, where numerous Amended and Unamended ecclesias have opened fellowship to one another despite the failure of wider attempts at re-union under the North American Statement of Understanding (NASU). The "Central Fellowship" in North America is still often referred to today as the Amended fellowship. The Berean Fellowship was formed in 1923 as a result of varying views on military service in Britain, and on the atonement in North America. The majority of the North American Bereans re-joined the main body of Christadelphians in 1952. A number continue as a separate community, numbering around 200 in Texas, 100 in Kenya and 30 in Wales. Most of the divisions still in existence within the Christadelphian community today stem from further divisions of the Berean fellowship. The Church of God of the Abrahamic Faith (CGAF) also has common origins with Christadelphians and shares Christadelphian beliefs. Numbering around 400 (primarily Ohio and Florida, USA), they are welcomed into fellowship by some "Central" Christadelphians and are currently involved in unity talks. According to Bryan Wilson, functionally the definition of a "fellowship" within Christadelphian history has been mutual or unilateral exclusion of groupings of ecclesias from the breaking of bread. This functional definition still holds true in North America, where the Unamended fellowship and the Church of God of the Abrahamic Faith are not received by most North American Amended ecclesias. But outside North America this functional definition no longer holds. Many articles and books on the doctrine and practice of fellowship now reject the notion itself of separate "fellowships" among those who recognise the same baptism, viewing such separations as schismatic. Many ecclesias in the Central fellowship would not refuse a baptised Christadelphian from a minority fellowship from breaking bread; the exclusion is more usually the other way. Christadelphians believe that God is the creator of all things and the father of true believers, that he is a separate being from his son, Jesus Christ, and that the Holy Spirit is the power of God used in creation and for salvation. They also believe that the phrase Holy Spirit sometimes refers to God's character/mind, depending on the context in which the phrase appears, but reject the view that people need strength, guidance and power from the Holy Spirit to live the Christian life, believing instead that the spirit a believer needs within themselves is the mind/character of God, which is developed in a believer by their reading of the Bible (which, they believe, contains words God gave by his Spirit) and trying to live by what it says during the events of their lives which God uses to help shape their character. Christadelphians believe that Jesus is the promised Jewish Messiah, in whom the prophecies and promises of the Old Testament find their fulfilment. They believe he is the Son of Man, in that he inherited human nature (with its inclination to sin) from his mother, and the Son of God by virtue of his miraculous conception by the power of God. Christadelphians also reject the doctrine of Christ's pre-existence. They teach that he was part of God's plans from the beginning and was foreshadowed in the Old Testament, but was no independent creature prior to his earthly birth. Although he was tempted, Jesus committed no sin, and was therefore a perfect representative sacrifice to bring salvation to sinful humankind. They believe that God raised Jesus from death and gave him immortality, and he ascended to Heaven, God's dwelling place. Christadelphians believe that he will return to the earth in person to set up the Kingdom of God in fulfilment of the promises made to Abraham and David. This includes the belief that the coming Kingdom will be the restoration of God's first Kingdom of Israel, which was under David and Solomon. For Christadelphians, this is the focal point of the gospel taught by Jesus and the apostles. Christadelphians believe that people are separated from God because of their sins but that humankind can be reconciled to him by becoming disciples of Jesus Christ. This is by belief in the gospel, through repentance, and through baptism by total immersion in water. They reject assurance of salvation, believing instead that salvation comes as a result of remaining "in Christ". After death, believers are in a state of non-existence, knowing nothing until the Resurrection at the return of Christ. Following the judgement at that time, the accepted receive the gift of immortality, and live with Christ on a restored Earth, assisting him to establish the Kingdom of God and to rule over the mortal population for a thousand years (the Millennium). Christadelphians believe that the Kingdom will be centred upon Palestine, but Jesus Christ will also reign over all the other nations on the earth. Some believe that the Kingdom itself is not worldwide but limited to the land of Palestine promised to Abraham and ruled over in the past by David, with a worldwide empire. The historic Commandments of Christ demonstrates the community's recognition of the importance of Biblical teaching on morality. Marriage and family life are important. Christadelphians believe that sexual relationships should be limited to heterosexual marriage, ideally between baptised believers. Christadelphians reject a number of doctrines held by many other Christians, notably the immortality of the soul (see also mortalism; conditionalism), trinitarianism, the personal pre-existence of Christ, the baptism of infants, the personhood of the Holy Spirit, the divinity of Jesus and the present-day possession of the gifts of the Holy Spirit (see cessationism). They believe that the word devil is a reference in the scriptures to sin and human nature in opposition to God, while the word satan is merely a reference to an adversary (be it good or bad). According to Christadelphians, these terms are used in reference to specific political systems or individuals in opposition or conflict. Hell (Hebrew: Sheol; Greek: Hades, Gehenna, Tartarus) is understood to refer exclusively to death and the grave, rather than being a place of everlasting torment (see also annihilationism). Christadelphians do not believe that anyone will "go to Heaven" upon death. Instead, they believe that only Christ Jesus went to Heaven, and when he comes back to the earth there will be a resurrection and God's kingdom will be established on earth, starting in the land of Israel. Christadelphians believe the doctrines they reject were introduced into Christendom after the 1st century in large part through exposure to pagan Greek philosophy, and cannot be substantiated from the Biblical texts. The most notable Christadelphian attempts to find a continuity of those with doctrinal similarities since that point have been geographer Alan Eyre's two books The Protesters (1975) and Brethren in Christ (1982) in which he shows that many individual Christadelphian doctrines had been previously believed. Eyre focused in particular on the Radical Reformation, and also among the Socinians and other early Unitarians and the English Dissenters. In this way, Eyre was able to demonstrate substantial historical precedents for individual Christadelphian teachings and practices, and believed that the Christadelphian community was the 'inheritor of a noble tradition, by which elements of the Truth were from century to century hammered out on the anvil of controversy, affliction and even anguish'. Although noting in the introduction to 'The Protestors' that 'Some recorded herein perhaps did not have "all the truth" — so the writer has been reminded', Eyre nevertheless claimed that the purpose of the work was to 'tell how a number of little-known individuals, groups and religious communities strove to preserve or revive the original Christianity of apostolic times', and that 'In faith and outlook they were far closer to the early springing shoots of 1st-century Christianity and the penetrating spiritual challenge of Jesus himself than much that has passed for the religion of the Nazarene in the last nineteen centuries'. The typical Old Testament belief in unconsciousness till resurrection, instead of the immortality of the soul, has been held marginally throughout the history of both Judaism and Christianity; such sources include certain Jewish pseudepigraphal works, rabbinical works, Clement of Rome,[dubious – discuss] Arnobius in the 3rd to 4th century, a succession of Arabic and Syrian Christians from the 3rd to the 8th century including Aphrahat, Ephrem, Narsai, Isaac of Nineveh (d.700), and Jacob of Sarug, Jewish commentators such as Abraham Ibn Ezra (1092–1167), Maimonides (1135–1204), and Joseph Albo (1380–1444), and later Christians such as John Wycliffe, Michael Sattler, and many Anabaptists, long before Martin Luther challenged Roman Catholic views on heaven and hell with his teaching of "soul sleep". The Christadelphian denial of the pre-existence of Christ, and interpretation of verses such as "I came down from heaven" (John 6:38) as relating to the virgin birth and Christ's mission only, are found in the teachings of: the early Jewish Christians,[dubious – discuss] the Ebionites, the Nazoreans (or Nazarenes),[dubious – discuss] the Theodotians of Theodotus the Cobbler (who believed Jesus was supernaturally begotten but a man nonetheless), Artemon, Paul of Samosata, the Pseudo-Clementines, and Photinus (d.376); naturally however, given that non-Trinitarian beliefs were punishable with death from the 4th century to the 17th[citation needed], it would be foolish to expect to discover any consistent line of people or groups holding such beliefs. Such attempts become possible only after the Protestant Reformation. Christadelphian Christology is found from the publication of Lelio Sozzini's commentary on John (1561) through to the increasing resistance to the miraculous among English Unitarians after 1800. Organised worship in England for those whose beliefs anticipated those of Christadelphians only truly became possible in 1779 when the Act of Toleration 1689 was amended to permit denial of the Trinity, and only fully when property penalties were removed in the Doctrine of the Trinity Act 1813. This is only 35 years before John Thomas' 1849 lecture tour in Britain which attracted significant support from an existing non-Trinitarian Adventist base, particularly, initially, in Scotland where Arian, Socinian, and unitarian (with a small 'u' as distinct from the Unitarian Church of Theophilus Lindsey) views were prevalent. A sign showing the service times of a Christadelphian ecclesia in Buffalo, New York. Only baptised (by complete immersion in water) believers are considered members of the ecclesia. Ordinarily, baptism follows someone making a "good confession" (cf. 1 Tim. 6:12) of their faith before two or three nominated elders of the ecclesia they are seeking to join. The good confession has to demonstrate a basic understanding of the main elements – "first principles" – of the faith of the community. The children of members are encouraged to attend Christadelphian Sunday Schools and youth groups. Interaction between youth from different ecclesias is encouraged through regional and national youth gatherings. Many ecclesias organise holidays for young people, the most popular form in the UK being camping holidays and Youth Weekends such as Swanwick and others locally organised by different ecclesias. There are ecclesially-accountable committees for co-ordinated preaching, youth and Sunday School work, conscientious objection issues, care of the elderly, and humanitarian work. These do not have any legislative authority, and are wholly dependent upon ecclesial support. Ecclesias in an area may regularly hold joint activities combining youth groups, fellowship, preaching, and Bible study. There is a strong emphasis on personal Bible reading and study and many Christadelphians use the Bible Companion to help them systematically read the Bible each year. Christadelphian hymnody makes considerable use of the hymns of the Anglican and British Protestant traditions (even in US ecclesias the hymnody is typically more British than American). In many Christadelphian hymn books a sizeable proportion of hymns are drawn from the Scottish Psalter and non-Christadelphian hymn-writers including Isaac Watts, Charles Wesley, William Cowper and John Newton. Despite incorporating non-Christadelphian hymns however, Christadelphian hymnody preserves the essential teachings of the community. The earliest hymn book published was the "Sacred Melodist" which was published by Benjamin Wilson in Geneva, Illinois in 1860. The next was the hymn book published for the use of Baptised Believers in the Kingdom of God (an early name for Christadelphians) by George Dowie in Edinburgh in 1864. In 1865 Robert Roberts published a collection of Scottish psalms and hymns called The Golden Harp (which was subtitled "Psalms, Hymns, and Spiritual Songs, compiled for the use of Immersed Believers in 'The Things concerning the Kingdom of God and the Name of Jesus Christ'"). This was replaced only five years later by the first "Christadelphian Hymn Book" (1869), compiled by J. J. and A. Andrew, and this was revised and expanded in 1874, 1932 and 1964. A thorough revision by the Christadelphian Magazine and Publishing Association resulted in the latest (2002) edition which is almost universally used by English-speaking Christadelphian ecclesias. In addition some Christadelphian fellowships have published their own hymn books. ^ "BBC – Religions – Christianity: Christadelphians". Retrieved 22 January 2017. ^ "A Christadelphian Church". Retrieved 22 January 2017. ^ a b "Dr Thomas: His Life and Work. Chapter 3: Emigration to America". Angelfire.com. Retrieved 2012-08-01. ^ "Dr Thomas: His Life and Work". Angelfire.com. Retrieved 2012-08-01. ^ "Faith In The Last Days". Antipas.org. 2011-08-05. Retrieved 2012-08-01. ^ "Kinderball piano score". Imperial War Museum. Archived from the original on 27 January 2006. Retrieved 2008-02-08. ^ Morrell, Leslie. "The Christadelphian Response to the Holocaust" (PDF). Archived from the original (PDF) on 2008-02-27. Retrieved 2008-02-08. ^ "History of the Christadelphian Bible Mission". Cbm.org.uk. Retrieved 2010-03-15. ^ This list as published by The Christadelphian Magazine contains 53 paraphrases of Bible verses which were originally read weekly as part of the service at Temperance Hall ecclesia. Other versions, of unconfirmed origin, exist with the list expanded to 100 including some verses justifying division. ^ For example: Christadelphian Heritage College, Cooranbong and Christadelphian Heritage College Sydney, Kemps Creek. ^ "Christadelphians". The Columbia Encyclopedia. Education.yahoo.com. Archived from the original on 2011-07-28. ^ "North American Statement of Understanding". Nasu.ca. Retrieved 2010-03-15. ^ "The Berean Ecclesial News". Retrieved 22 January 2017. ^ Andrew Longman (2007-01-05). "The Dawn Christadelphian Homepage". Dawnchristadelphian.co.uk. Retrieved 2010-03-15. • "A Dawn Christadelphian's Website". Dawnchristadelphians.org. Archived from the original on 2010-09-18. Retrieved 2010-03-15. ^ "Old Paths Fellowship (Australia)". Gospeltruth.info. Retrieved 2010-03-15. • "Old Paths Fellowship (UK)". Christadelphians.co.uk. Retrieved 2010-03-15. ^ "Companion Christadelphians". Companion Christadelphians. Retrieved 2010-03-15. ^ "Pioneer Christadelphians". Pioneer Christadelphians. Retrieved 2013-09-22. ^ "What Do We Believe & Teach? – Church of the Blessed Hope". Retrieved 22 January 2017. • "Biblical Fellowship". Christadelphianbooks.org. Retrieved 2010-03-15. ^ "Dawn Christadelphians". Dawn Christadelphians. Archived from the original on 2010-09-18. Retrieved 2010-03-15. ^ Bereans.org BASF With some exceptions including the Lampasas Texas Berean Ecclesia. Some have an amendment in the Doctrines to be Rejected which prohibits a person being a police constable. ^ a b Hyndman, Rob (1999). The Christadelphians (Brothers and Sisters in Christ): Introducing a Bible-based Community. Beechworth, VIC: Bethel Publications. ISBN 81-87409-34-7. ^ Bull, Mike. The Bible—The Word of God. Hyderabad: Printland Publishers. ISBN 81-87409-52-5. ^ "The Christadelphian Statement of Faith". Christadelphia.org. Retrieved 2013-06-26. ^ "True Bible Teaching Home". Truebibleteaching.com. Retrieved 2013-06-26. ^ "True Bible Teaching Teaching". Truebibleteaching.com. Retrieved 2013-06-26. ^ Drabbenstott, Mark (2000). God Our Father. Hyderabad: Printland Publishers. ISBN 81-87409-64-9. ^ a b c d Flint, James; Deb Flint. One God or a Trinity?. Hyderabad: Printland Publishers. ISBN 81-87409-61-4. ^ a b c d e f g Jesus: God the Son or Son of God?. Birmingham, UK: CMPA. Archived from the original on 17 February 2012. ^ a b c Tennant, Harry. The Holy Spirit—Bible Understanding of God's Power. Birmingham, UK: CMPA. ^ a b c d e f Broughton, James H.; Peter J Southgate. The Trinity: True or False?. UK: The Dawn Book Supply. Archived from the original on 18 November 2011. ^ Pearce, Graham. The Holy Spirit and the Holy Spirit Gifts. Logos. , p. 27-29. Also see the collated quotations from various other Christadelphian authors in pp. 71–83 of Pearce's book. ^ a b c d e Zilmer, Paul. Who is Jesus?. Hyderabad: Printland Publishers. ISBN 81-87409-68-1. ^ Tennant, Harry. Christ in the Old Testament: Israel's True Messiah. Birmingham, UK: CMPA. ^ a b c Do You Believe in a Devil?. Birmingham, UK: CMPA. Archived from the original on 12 January 2012. ^ Do You Believe in a Devil?. Birmingham, UK: CMPA. Archived from the original on 12 January 2012. ^ Wilson, Shiela. The End of the World: Horror Story—or Bible Hope?. Birmingham, UK: CMPA. ^ Scott, Malcolm. Christ is Coming Again!. Hyderabad: Printland Publishers. ISBN 81-87409-34-7. ^ Morgan, Tecwyn. Christ is Coming! Bible teaching about his return. Birmingham, UK: CMPA. Archived from the original on 12 January 2012. ^ a b Hughes, Stephen. The Kingdom of Heaven on Earth!. Hyderabad: Printland Publishers. ISBN 81-87409-55-X. ^ a b Owen, Stanley. The Kingdom of God on Earth: God's plan for the world. Birmingham, UK: CMPA. Archived from the original on 12 January 2012. ^ About the Christadelphians: 1848 to now. ^ Watkins, Peter. The Cross of Christ. Birmingham, UK: CMPA. ^ a b Why Baptism Really Matters: What must we do to be saved?. Birmingham, UK: CMPA. Archived from the original on 12 January 2012. ^ After Death – What?. Birmingham, UK: CMPA. Archived from the original on 12 January 2012. ^ Raised to Judgement: Bible Teaching about Resurrection & Judgement. Birmingham, UK: CMPA. ^ M. Israel: God's People, God's Land. Birmingham, UK: CMPA. Archived from the original on 12 January 2012. ^ "The Christian Life: Marriage—"Only in the Lord"". Archived from the original on 2008-04-27. Retrieved 2008-04-04. ^ "The Protesters Contents". Retrieved 22 January 2017. ^ "Brethren In Christ Contents Contents". Antipas.org. 2012-10-07. Retrieved 2013-06-26. ^ Rees, Thomas. (1818). The Racovian Catechism: With Notes and Illustrations, Translated from the Latin; to which is Prefixed a Sketch of the History of Unitarianism in Poland and the Adjacent Countries, p. 7. ^ Snobelen, Stephen D. (1999). "Isaac Newton, heretic : the strategies of a Nicodemite" (PDF). British Journal for the History of Science. 32 (4): 381–419. doi:10.1017/S0007087499003751. Archived from the original (PDF) on 2013-10-07. ^ R.P.C. Hanson (1916–1988), Lightfoot Professor of Divinity The Search for the Christian Doctrine of God: The Arian Controversy, 318–381 (9780801031465): 1973 "Christ, Photinus said, did not exist before Adam, but Adam before Christ. The sayings about Christ's celestial origins do not refer to his person, but to his teaching and his character." ^ Snobelen, Stephen (2004). "Lust, Pride, and Ambition: Isaac Newton and the Devil" (PDF). In Force, J.E. ; Hutton, S. Newton and Newtonianism. Kluwer Academic Publishers. Archived from the original (PDF) on 2010-01-07. ^ For example: Christadelphian Auxiliary Lecturing Society (CALS) videos, Williamsburgh Christadelphian Foundation (WCF) videos Archived May 9, 2008, at the Wayback Machine, the Christadelphians of Southern California's videos, and Christadelphian YouPreach on YouTube. ^ For example: Washwood Heath Archived January 25, 2008, at the Wayback Machine Christadelphians' podcasts, Bible Study Podcasts and Search for Hope podcasts. ^ For example, the Bible Learning Centre in the Broadmarsh Shopping Centre, Nottingham (UK); Solihull Bible Learning Centre (UK); Dandenong Bible Education Centre, Melbourne (Aus. ); Castle Hill Bible Education Centre, Sydney (Aus. ); Liverpool Bible Education Centre, South-western Sydney (Aus. ); the Mustard Seed Bible Education Centre Archived September 20, 2012, at the Wayback Machine, Adelaide (Aus. ); Urbana Bible Education Center, Champaign County, Illinois (USA); Durban Bible Education Centre (SA). There are also other BECs in SA, Cambodia and India. ^ Norris, Alfred. The Gospel and Strife. Birmingham, UK: Christadelphian Magazine and Publishing Association. ^ Watkins, Peter. War and Politics: The Christian's Duty. Birmingham, UK: Christadelphian Auxiliary Lecturing Society. ^ "The BBC Website". Bbc.co.uk. 2009-06-25. Retrieved 2010-03-15. ^ Hocking, Rachel (2000). A Study of Christadelphian Hymnody: singing with the spirit and with the understanding (Thesis). The University ofNew South Wales, Sydney. ^ "The CMPA online bookshop". Thechristadelphian.com. Archived from the original on 24 June 2009. Retrieved 2010-03-15. Bryan R. Wilson, Sects and Society: A Sociological Study of the Elim Tabernacle, Christian Science and Christadelphians (London: Heinemann, 1961; Berkeley/Los Angeles: University of California Press, 1961).